When your child is hurting, you hurt right along with them. Parents with teens who struggle with mental health disorders are often aghast at the effects of the illness and feel completely hopeless in knowing how to help their child. Teens with mental disorders suffer on many fronts, including being ostracized or bullied at school or on social media. 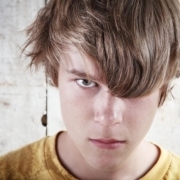 Some types of mental illness in teens may cause severe mood swings or unusual behaviors. As a result of being “different” they may be left out of social gatherings or suffer interpersonally, only adding to their internal pain. Getting teens the help they need is important, as ignoring or denying their problems will only lead to mounting consequences, such as getting in trouble at school, legal problems, or failing academically, and can develop into more severe adult mental illness if left untreated. Understanding the different types of mental illness in teens that are most prevalent in this age group is the first step at identifying whether your teen may benefit from psychiatric help. Depression is characterized by a cluster of symptoms that last more than two weeks, including persistent sadness, feelings of hopelessness, fatigue, sleep problems, change in eating habits, slowed psychomotor skills, feelings of guilt or shame, and suicidal thoughts. Eating disorders, including bulimia, anorexia, and binge eating disorder, feature unhealthy relationships with food or eating habits, weight gain or loss, body dysmorphia, using food to fulfill emotional void or to soothe emotional pain, or to attain a sense of control over their life. Teens exhibiting disordered thoughts or behaviors, or psychotic features, should be evaluated by a mental health professional. Initially, the teen’s general physical health status may be assessed to determine if a health condition or medication may be associated with the changes in behavior. If not, the doctor will refer the teen to a mental health specialist. Treatment for adolescent mental health disorders will be tailored for the specific diagnosis. However, in most cases, treatment will revolve around psychotherapy and medication. These are the usual interventions used to help teens manage or improve the symptoms related to the diagnosis. Psychotherapy. Psychotherapy will be offered in both an individual format and in group formats. The one-on-one sessions enable the teen to safely discuss their issues in confidence with the psychotherapist or psychiatrist. This discreet setting provides a safe place to openly share their fears, worries, and emotional pain with the therapist, who can then offer insights and advice related to these issues. The group sessions provide peer support by encouraging a small group of teens to discuss their issues or challenges together. Medication. Psychotropic medications are available in the event that the teen would benefit from the drugs. These medications can help to rebalance brain chemistry, reduce anxiety, and stabilize mood. The drugs are offered judiciously only when it is felt the benefits outweigh the potential side effects. When the teen’s mental health is deteriorating a residential program will offer a safe, supportive place where they are removed from the daily stressors that exacerbate their condition. In this inpatient setting, the teen will be engaging in a variety of daily therapeutic activities that provide a comprehensive and customized approach to treatment. A teen mental health center will have specialized training in working with adolescents, and their programming will reflect this. Teens who benefit from an extended stay at the residential center can keep up with schoolwork through a tutor that works as a liaison between the teen and their school administrators. Residential treatment can provide a much more focused treatment approach that enables the teen to acquire new coping skills and healthy thought/behavior patterns. BNI Treatment Centers is a private residential center for teens in need of more intensive treatment for a mental health disorder. BNI treats various types of mental illness in teens, offering a soothing, supportive environment that is accepting and respectful. BNI Treatment provides a multi-layered therapeutic approach that integrates traditional evidence-based therapies with a wide range of experiential activities that compliment the traditional treatment. With an emphasis on customizing a treatment plan to fit the unique needs of each teen client, BNI Treatment is dedicated to helping teens optimize wellness and live a full and productive life. For more information about the program, please contact BNI Treatment Centers today at (888) 522-1504.